The next generation of gay reality TV royalty is here. 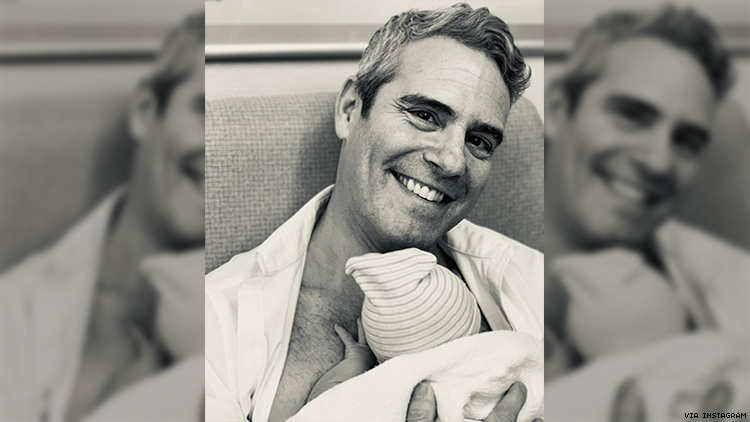 Late Monday night, Andy Cohen announced the birth of his son via surrogate. Welcome to the world, Benjamin Allen Cohen, let’s hope no one tries to gift you a stuffed bunny. Cohen announced the surrogacy on his show Watch What Happens Live in December. “After many years of careful deliberation, a fair amount of prayers and the benefit of science, if all goes according to plan, in about six weeks' time, I am going to become a father, thanks to a wonderful surrogate who is carrying my future,” Cohen said at the time. “Family means everything to me, and having one of my own is something I've wanted in my heart for my entire life. And though it's taken me longer than most to get there, I cannot wait for what I envision will be the most rewarding chapter yet." On New Year’s Even, Cohen revealed the baby’s gender (though this is still a suspicious practice!) on live TV with Anderson Cooper, who I’m guessing will be Benjamin’s godfather. Last month, Cohen hosted a star-studded baby shower attended by almost every Real Housewife (and for some reason, John Mayer), the antics of which are definitive proof that we need All Stars season of Real Housewives. Mazel, Andy! Looking forward to the Real Gay Dads of New York City or however you decide to monetize your little bundle of joy!